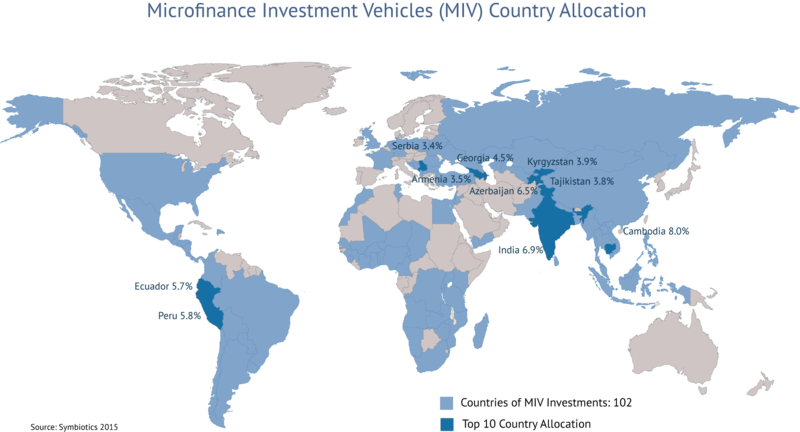 The 9th edition of the Symbiotics Microfinance Investment Vehicles (MIV) Survey has just been published. It is the only industry survey providing a full overview of market trends as well as a peer group analysis of global microfinance investment vehicles. These specialized intermediaries include microfinance investment funds open to multiple and single investors. 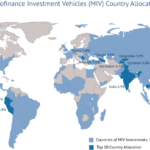 MIVs offer financial institutions serving low-income clients in emerging markets access to a broad range of financial products. This year 110 MIVs were identified of which 84 participated in the survey representing 96% of the total market share which is estimated at 10.4 billion U.S. Dollars of assets under management as of December 2014. The survey confirms that European asset managers continue to represent nearly 70% of the market share with Switzerland in the leader position managing one third of microfinance assets and the Netherlands closely behind. In terms of MIV country allocation, Cambodia leads (8%), followed by India (6.9%) and Azerbaijan (6.5%). Since 2005, the company has been building up extensive market research and benchmarks (e.g. SYM50, SMX MIV Funds Index) on financial institutions and microfinance funds in emerging markets. This in-house intelligence is an integral part of Symbiotics’ work methodology and is publicly available. Now in its 9th edition, the Symbiotics MIV Survey is carried out annually and aims to provide comprehensive market trends and peer group analysis on microfinance offshore investments. It is based on December 2014 financial and social performance indicators reported by a large number of microfinance investment vehicles. Symbiotics, incorporated in 2004 in Geneva, is an investment company specialized in emerging, sustainable and inclusive finance which offers market research, investment advisory and asset management services. It is an asset manager of collective investment schemes regulated by FINMA, the Swiss Financial Market Supervisory Authority and has an advisory license from the FCA, the Financial Conduct Authority, through its subsidiary in the UK. The company is headquartered in Geneva, with offices in Cape Town, London, Zurich, Mexico City and Singapore with a staff of over eighty professionals.